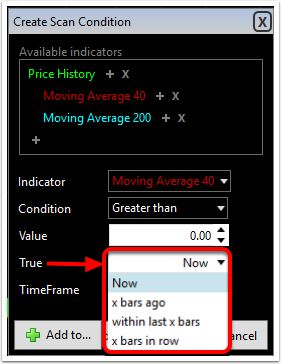 Plotted indicators can be used to create a variety of conditions (behaviors). 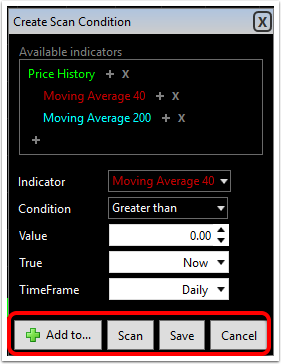 In this example the 40 and 200 period moving averages are used to create a crossover condition. 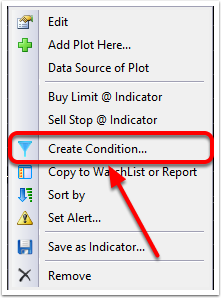 Here are the steps. 1. Plot the two moving averages you would like to use along with Price in the chart window.